Camera quality and features have been promoted by Nokia as key differentiation for its Windows Phone 8 handsets vs. competition from Apple (AAPL) and Android hardware OEMs. Nokia's imaging chief Damian Dinning will leave the company on Nov. 30, 2012. He has been in charge of image and photography since 2004, and instrumental in the development of Windows Phone imaging software. Dinning's background includes roles at Minolta and Eastman Kodak, and Nikon. Nokia's efforts to distinguish its smartphones with advanced photographic capabilities, introducing the PureView 808 with a 41MP rear-facing camera was Damian Dinning's PureView phase I development. 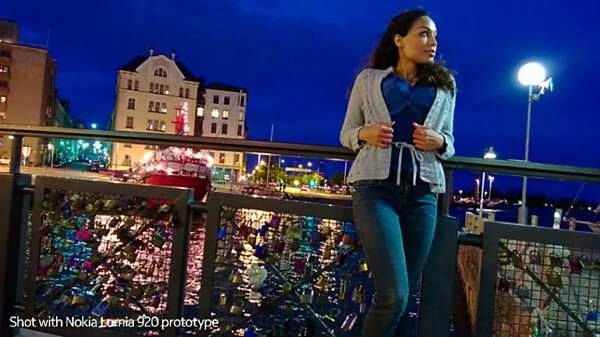 His phase II was to improve low-light photography and eliminating camera shake for PureView for the Lumia 920. With this technology, its pictures were limited to 8.7-megapixels, and rather than pixel oversampling was used. Custom optics was developed to increase the aperture size to f/2.0 which was paired with a backside-illuminated CMOS and a high pulse power LED. The above image is taken with the PureView for the Lumia 920, while below, there's a comparison shot taken by a Samsung Galaxy S III. 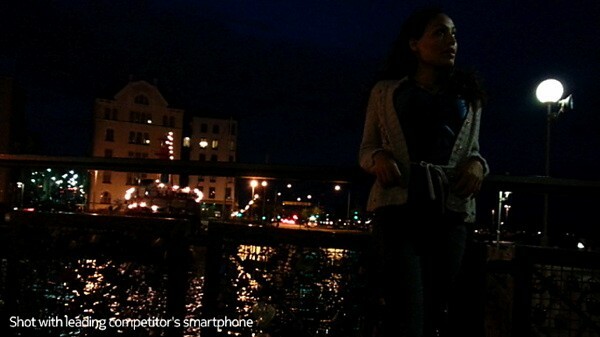 The comparison shows the 920 does take much brighter, better images in low-light situations. According to Daniel Cooper, the company customized Optical Image Stabilization (OIS) to reduce camera shaking. The OIS detects a camera's movement with a built-in gyroscope, compensating accordingly. Te entire optical assembly is moved mechanically to maintain parity with what you're shooting, which it claims is 50 percent more effective in reducing shake. The following video compares OIS and non-OIS shot.